I am newly obsessed with Travis Walton. Here is a sneak peak with more tomorrow. 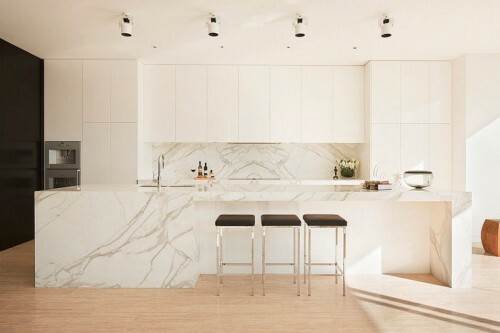 Beautiful mix of materials, smooth white lacquer, with a high contrast wall and light floor. The large center island is to die for.